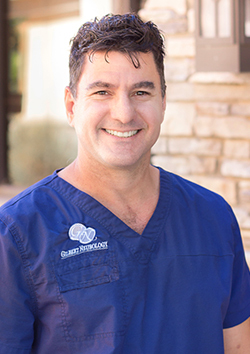 Dr. Reynolds is a board certified neurologist that practices as a neurohospitalist at Chandler Regional Medical Center and Mercy Gilbert Medical Center. He has a specialized interest in neurological emergencies and acute care. Graduated from Western University of Health Sciences, College of Osteopathic Medicine of the Pacific in 1996. He trained at the renowned Michigan Institute for Neurological Disorders (MIND Clinic) that is regionally known for its long tradition of providing the highest level of patient care in a kind, compassionate environment. He has 17 years of experience in adult neurology. He is a member of the American Osteopathic Association and American Academy of Neurology. Dr. Reynolds enjoys off roading in his jeep, machining, welding and spending time with his wife and 3 children.